This is our brand new 7ft Christmas tree. 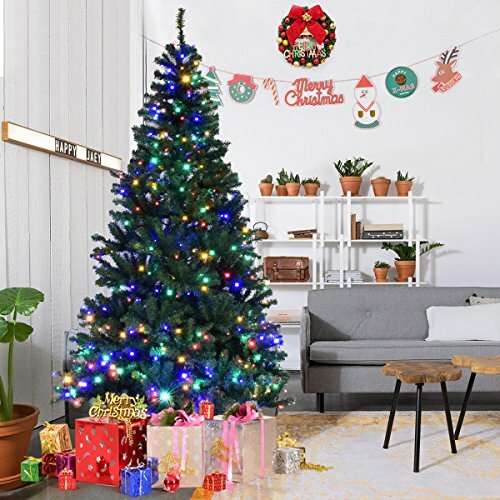 With 100 pre-installed lights, gleam throughout the tree, will present 5 different colors and can alternate between 11 different modes which will create a warm and holiday atmosphere. And dense PVC needles providing it with a fresh cut look that will last all season. The included metal base is sturdy and holds the tree up well. 3-piece design make it very easy to assemble .Don't hesitate to buy it!